You may remember awhile ago that I reviewed a wireless camera by Ycam, which I was so impressed by that I gave it our most prestigious Editor’s Choice award. For those who haven’t had a chance to read the review, you can check it out here. The Ycam HomeMonitor wireless camera is a small and portable camera that connects to your home network via WiFi to enable you to check what’s happening from anywhere – including your smartphone. 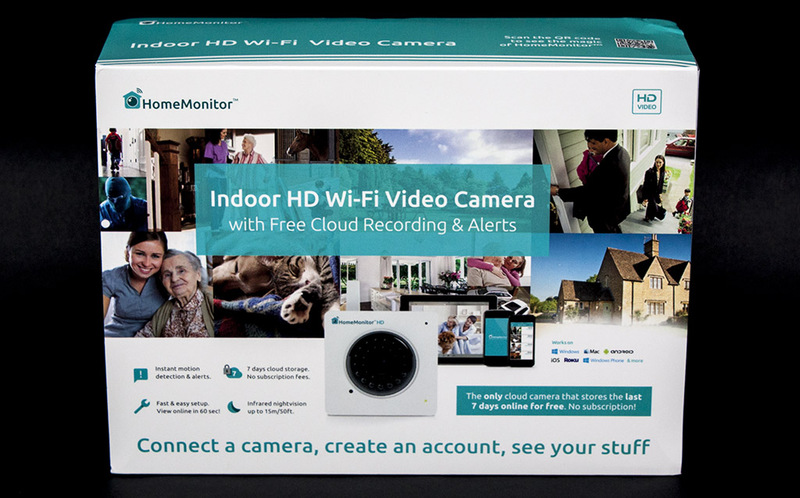 Today I am taking a look at the latest version of the HomeMonitor Indoor wireless camera: the high definition model which replaces the previous camera I reviewed. The packaging has been altered to fit in with the new HD capabilities and features more emphasis on the free cloud based recording. Rather than targeting potential customers who are security conscious, Ycam have tried to make it appeal to a wider range of buyers, from monitoring pets and children, to keeping an eye on important assets. Overall the general style is similar to that of the older model. 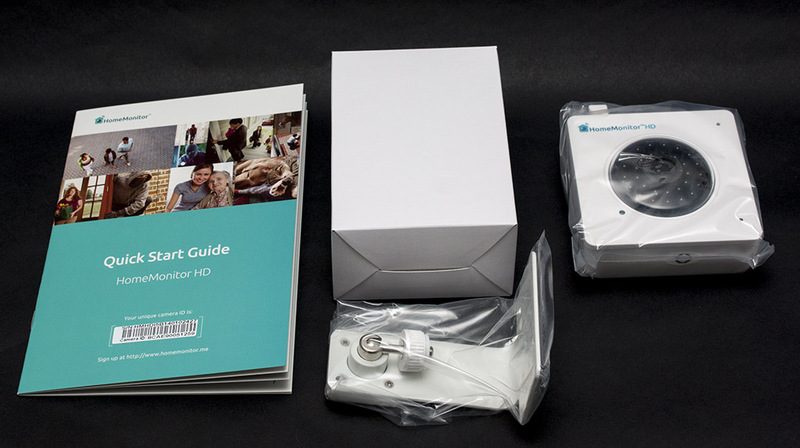 The contents of the HD HomeMonitor remain almost identical to the previous model: Quick Start Guide, Wall mounting bracket, PSU with regional adaptors and a Cat5e cable for connecting to your router. 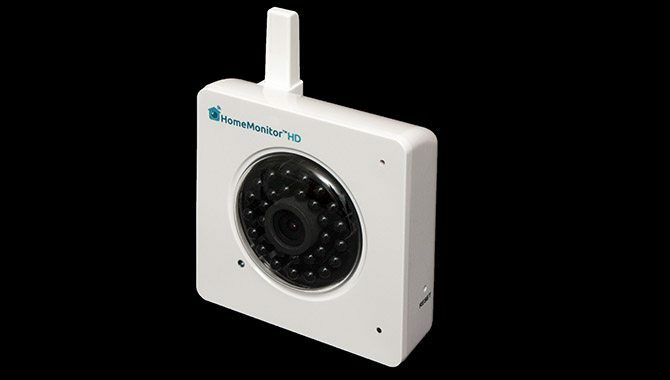 The main appearance of the HomeMonitor HD is the same as its predecessor, however it features the HD initials on the front. 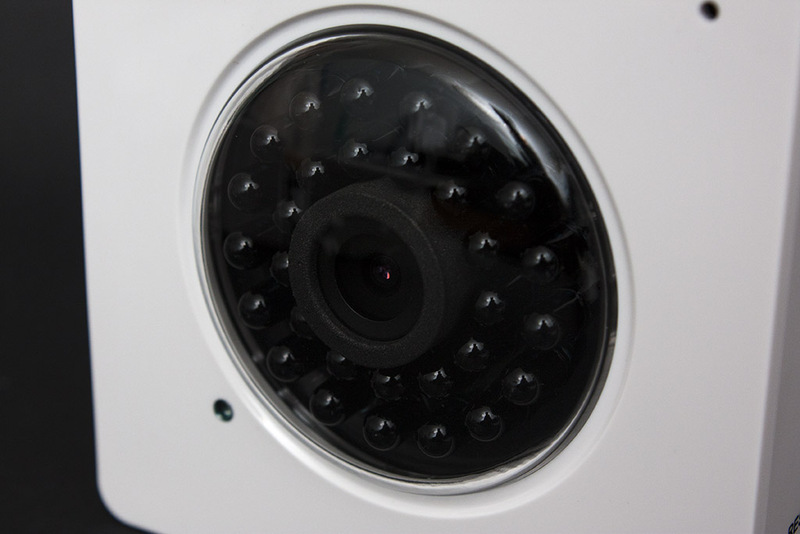 The face of the camera still has the dominating array of infrared LEDs (30 of them), which enables you to see up to 15 meters into the dark. In the centre is the new camera with a 1MP 1/4″ CMOS lens. The small hole near the bottom left of the LED array is the light sensor – this determines whether night vision needs to be enabled if it is too dark. Overall it doesn’t look like much has changed in appearance, but that is not so important in this case as the design is already impressive!